Any woman of Indian origin (regardless of her place of birth) and married is eligible to participate. The contestant must be a resident of the state that she is to represent. Appropriate documentation regarding the age arid residency status of the contestant must be submitted in order to meet eligibility requirements. The India Festival Committee (IFC) is NOT RESPONSIBLE for the contestant or any of her personal belongings. The PC is only responsible for room arid hoard for the contestant. The contestants must behave in a manner befitting the title of Mrs. India USA. Each year, the IFC selects reputable individuals/organizations to hold various state contests. The PC has the exclusive right to select the states and State Directors that are authorized to conduct the state contests. When a State Director has been selected, said director is responsible for the judging of the state contest in accordance with these rules and regulations. The State Director is responsible for the selection of the state winners and the awarding of all prizes to them. The IFC is not responsible for the conduct, judging, or awarding of prizes by the State Director. In addition, the State Director will invite a representative from the IFC to attend the state pageant as an observer/judge. The IFC will provide contestants from the tri-state area through their own preliminaries. The IFC can select contestants-at-large to represent a state. 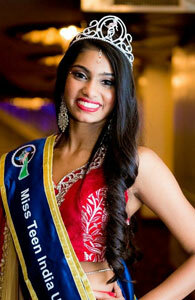 Since Mrs. India USA is a conservative pageant proper attire for all segments is mandatory. No vulgar attire will be permitted. The IFC, in its sole discretion, retains the right to alter the format of the pageant. State winners who are selected for the Mrs. India USA will be judged iii the following segments: (a) Indian Dress, (b) Evening Gown. After these two segments top ten will be selected who will be required to present a (c) talent for three minutes. The top five contestants will move on to the (d), Question/Answer segment. The IFC, in its sole discretion, retains the right to alter the format of the pageant. The winner of Mrs. India USA will be the only delegate of USA at the Mrs. India Worldwide Pageant. Judges will be selected for Mrs. India USA by the IFC. They will be eminent, respected members of the Indian, American and International Community. The IFC reserves the right to appoint all such judges. THE DECISION OF THE JUDGES, ONCE Tabulated, IS FINAL. THE IFC BEARS NO RESPONSIBILITY FOR THE DECISIONS OF THE JUDGES. The foregoing rules are subject to change by the IFC. All decisions regarding the eligibility of the contestant and the conduct of the Mrs. India USA, in general, are subject to ultimate approval by the IFC. The IFC may also give franchises to reputable individuals/organizations to conduct Mrs. India USA.